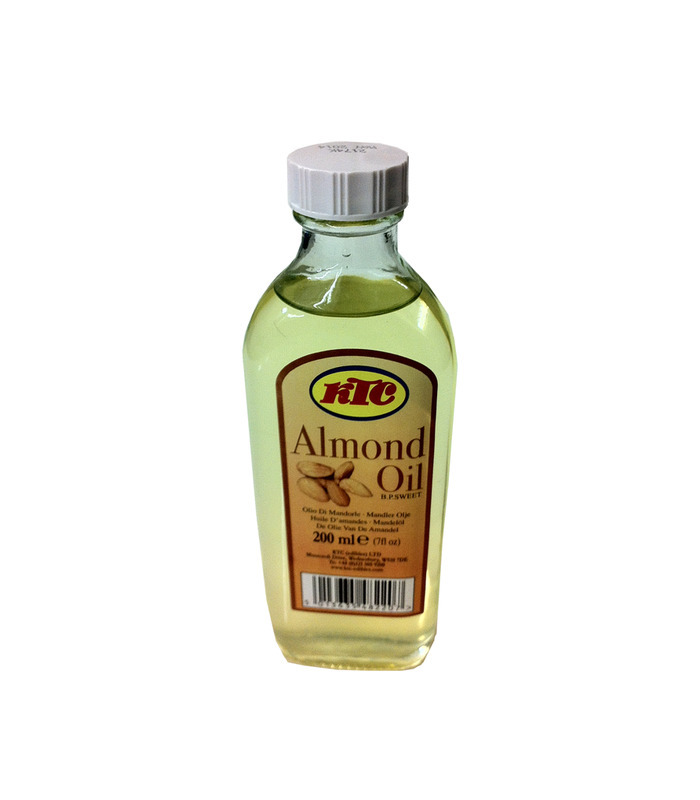 KTC Almond oil is pure oil extracted from good quality almonds. It is a light, thin, flowing oil that has a mild, sweet aroma. KTC Almond oil can be used in cooking as well as cosmetically. In food, it can be added to salads, sweets or a few drops can be added to a glass of milk. Some topical uses and benefits include: - It is said to help reduce under-eye dark circles. - Almond oil is a natural skin moisturizer that can be used in place of hand creams. 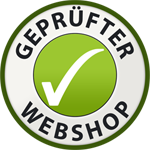 - It is great for the hair and reduces hair fall, dandruff and softens and nourishes. - Almond oil is also considered good for the nails. - It is rich in Vitamin A, B, E and magnesium among other nutrients. 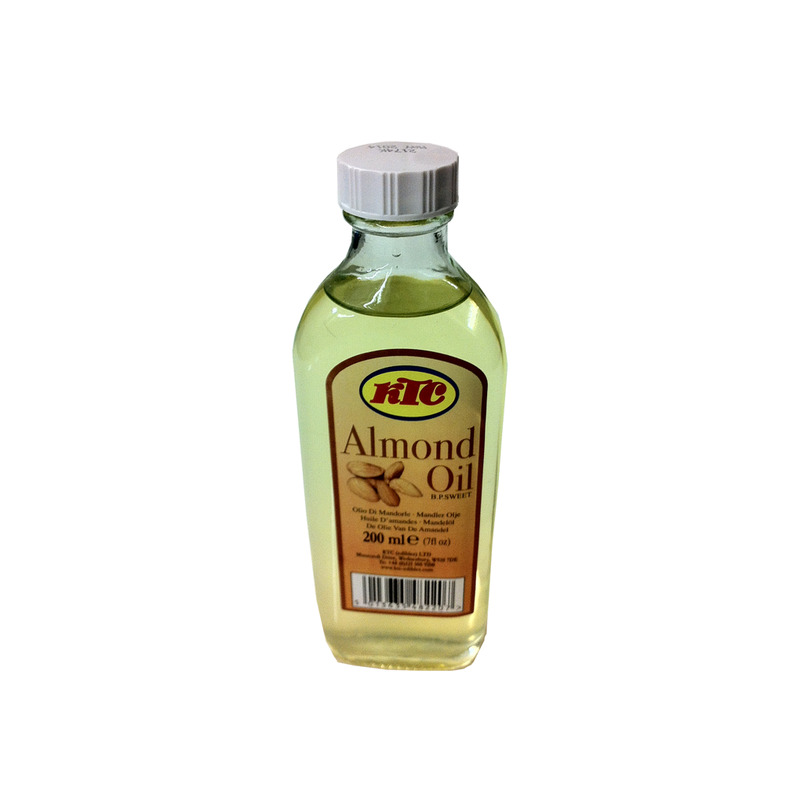 KTC Almond oil is pure oil extracted from good quality almonds. It is a light, thin, flowing oil that has a mild, sweet aroma. 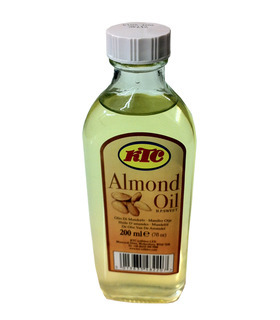 KTC Almond oil can be used in cooking as well as cosmetically. In food, it can be added to salads, sweets or a few drops can be added to a glass of milk. - It is said to help reduce under-eye dark circles. - Almond oil is a natural skin moisturizer that can be used in place of hand creams. - It is great for the hair and reduces hair fall, dandruff and softens and nourishes. - Almond oil is also considered good for the nails. - It is rich in Vitamin A, B, E and magnesium among other nutrients.